The elderly have their fair share of trouble trying to get around. Keeping that in mind, researchers at the ATR Intelligent Robotics and Communication Laboratories have developed a wheelchair with a touch of automation, enabling better mobility for the elderly. 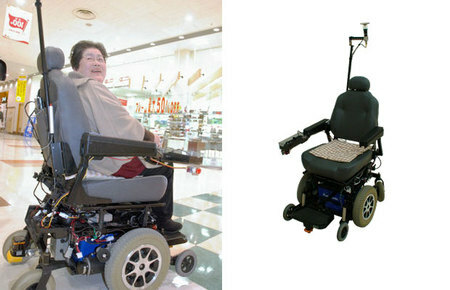 The robot-wheelchair packs GPS, ubiquitous sensor networks and mobile devices. On a test run, the wheelchair spotted an elderly shopper at a shopping mall using a smartphone app through which she’d booked the chair and contacting her by matching GPS co-ordinates. The chair then assisted her around the mall with her shopping! Boy scouts! Your days are numbered. We’ll soon have automated chairs helping the elderly across streets and robots delivering cookies to our doorsteps.